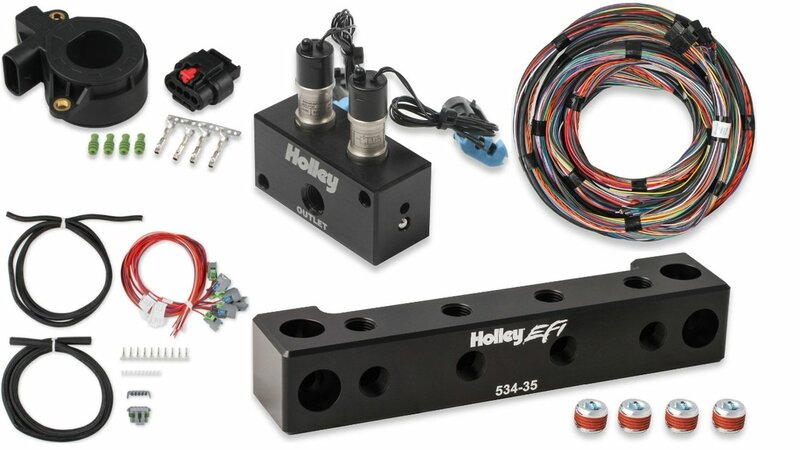 Holley is pleased to announce the release of a large and varied assortment of new EFI components – High Flow Dual Port Boost Control Kits, Current Transducers, EV6 Unterminated Injector Harnesses, Unterminated Flying Lead Main Harnesses, and 1/8-NPT Sensor Blocks. 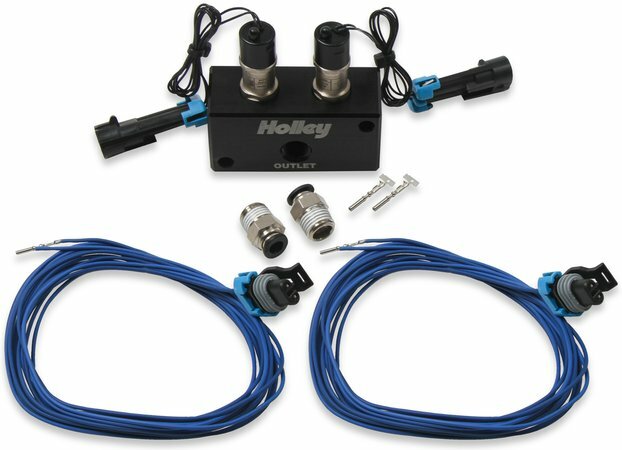 Holley EFI High Flow Dual Port Boost Control Kits flow almost 40% more than comparable designs and up to 90% more than conventional three-port boost-control solenoids. 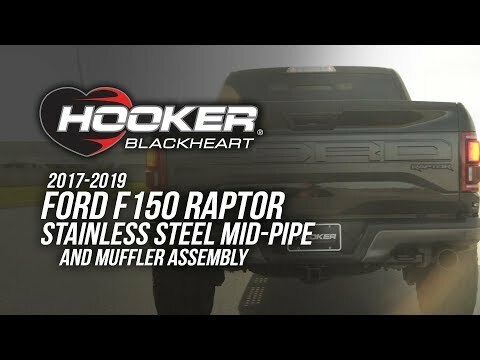 Made of billet and anodized black, they feature built-in mounting provisions and pre-installed high-flow solenoids with a dual-O-ring sealing design that prevents boost leaks in the manifold. 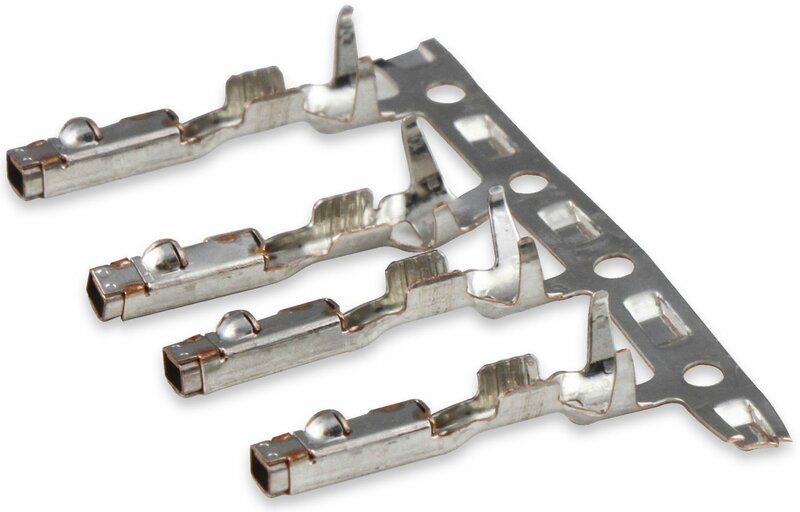 They come complete with two 1/4-inch push-lock fittings, two pre-terminated connectors, and extra pins that let you cut the harnesses to custom lengths. 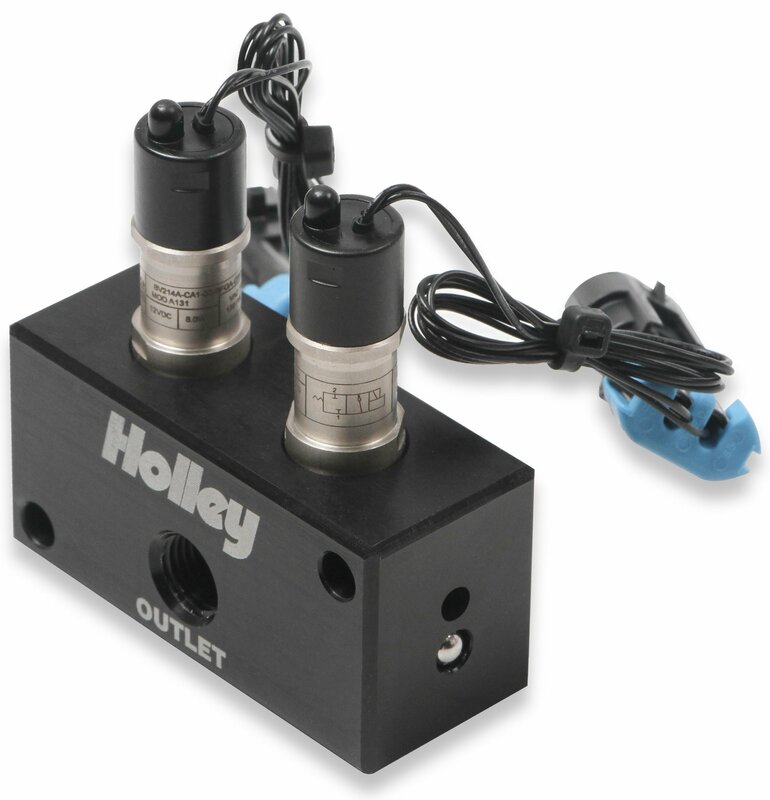 Holley EFI Current Transducers are a simple, efficient way to diagnose potential electrical-system issues with any component, including fuel pumps, alternators, electric water pumps, and inductive ignition coils. Available in two versions – one for a 30/350-amp dual range and one for a 50/200-amp dual range – they monitor both high- and low-amp current draw with a single sensor. 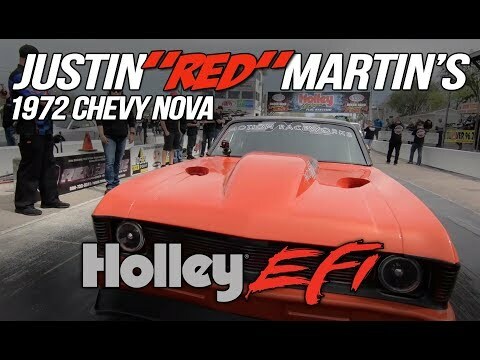 They have built-in mounting tabs and come with connectors and pins that make it easy to mount them virtually anywhere and work with preconfigured sensor dropdowns in Holley EFI V5 software. Holley EFI EV6 Unterminated Injector Harnesses are a fast, easy way to add EV6 injectors to 8-cylinder engines. 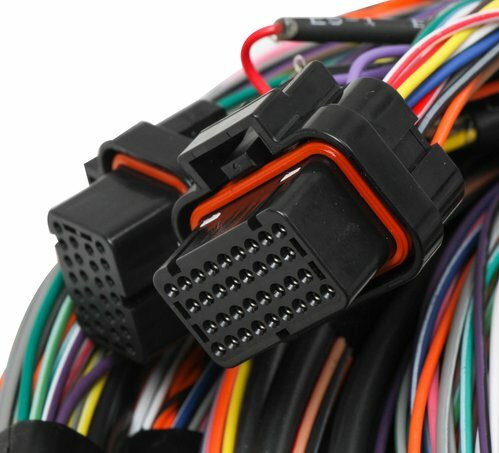 Ideal for both new installations and for upgrading to a second set of EV6 injectors, they come complete with everything you need to build your own custom cut-to-fit EV6 injector harness: eight EV6 injector connectors with 36 inches of 20ga colored flying leads for each connector, 10 pins and seals, and a 10-pin Metri-Pack female connector and TPA to mate your Holley EFI Main Harness. 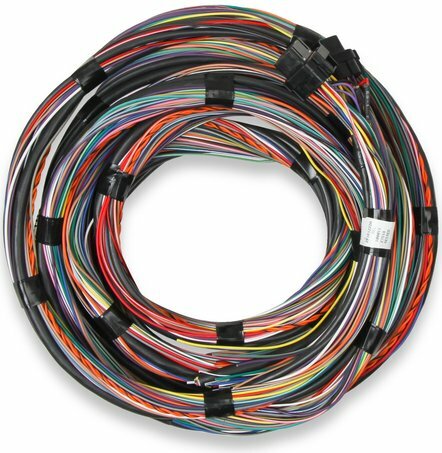 Holley EFI Unterminated Flying Lead Main Harnesses are perfect for completely rewiring existing Holley EFI applications and for rewiring any new build right the first time. The kits include a 15-foot flying lead harness that allows you to easily customize your main harness installation, pre-terminated J1A and J1B Tyco Superseal connectors, and 60 crimped wires (fifty-seven 20 ga and three 18 ga). 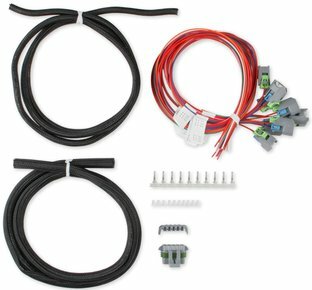 If you already have your own wire and just need the connectors and pins, Holley EFI J1A/J1B Connector Kits are the solution. They come with everything you need: a J1A ECU Connector, J1B ECU Connector, sixty 20-22 ga ECU pins, twenty 16-18 ga ECU pins, and thirty cavity plugs. Holley EFI 1/8-NPT Sensor Blocks are ideal for remote-mounting multiple transducers, and they eliminate inaccuracies due to vibration and heat. Made of billet aluminum and compatible with all transducers with 1/8-NPT male threads and a 7/8-inch or smaller body/hex diameter, they feature four independent ports that each have three inlets/outlets. 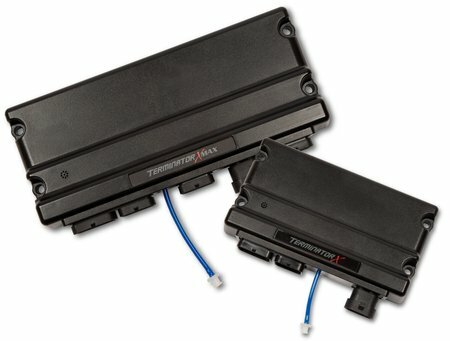 See complete product details for the High Flow Dual Port Boost Control Kits. See complete product details for the Current Transducers (30/350 amp). See complete product details for the Current Transducers (20/200 amp). See complete product details for the EV6 Unterminated Injector Harnesses. See complete product details for Unterminated Flying Lead Main Harnesses. 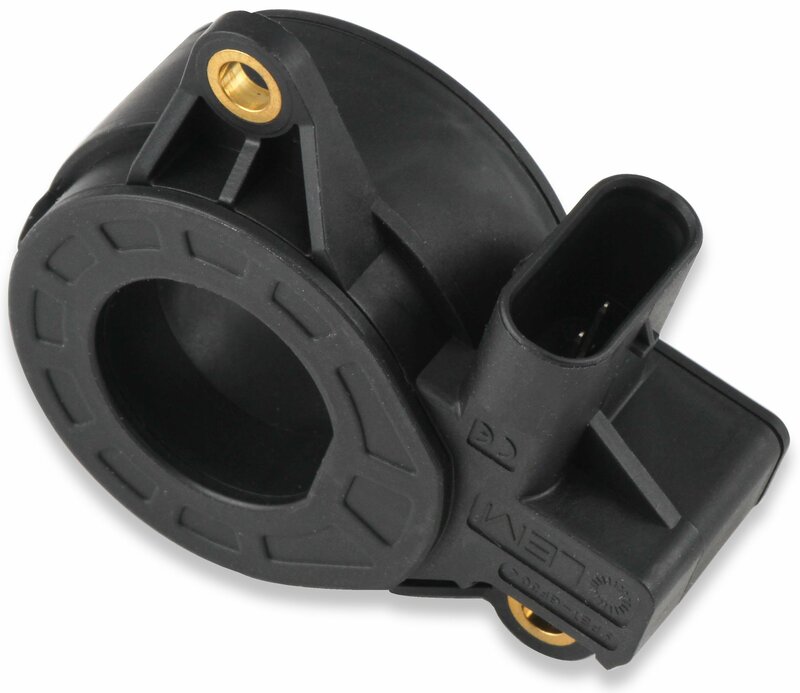 See complete product details for the Sensor Blocks.